Injuries and accidents resulting from drunk driving are a serious problem in this county, and many states extend liability for drunk driving injuries and fatalities to the persons or bars who provide the alcohol used in the hours preceding a crash. 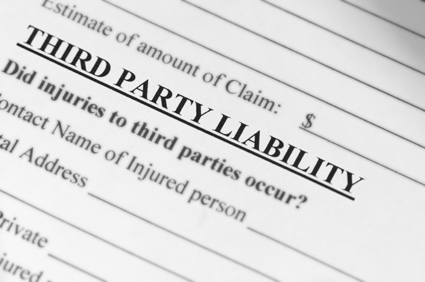 This 3rd party liability is known as social host liability laws (when the supplier is a host) or dramshop liability laws (when the supplier is a bar). These laws recognize that the person or business that facilitated the drunk driving bears responsibility for the outcome. I hereby offer my proposal for using 3rd party liability laws to hold homebirth midwives responsible for homebirth deaths under the theory that the person or business who facilitates a homebirth against medical advice bears responsibility for the outcome. Note that these laws do not imply that the bar caused the drunk driving accident, merely that by selling alcohol to someone obviously drunk facilitated the accident. They do not discount the role of the person who chose to drive drunk; they merely recognize that when people are drunk, their ability to make informed and rational decisions is impaired.In other words, they recognize that 3rd parties who facilitate drunk driving have a responsibility to prevent reasonably foreseeable consequences. Homebirth midwives (like social hosts and bars) generally do not cause deaths directly. Homebirth midwives (like social hosts and bars) don’t intend that deaths occur. It is entirely possible that the injuries or deaths might have occurred anyway even if the homebirth midwives (like social hosts and bars) were not involved. Homebirth midwives (like social hosts and bars in drunk driving) facilitate the behavior that leads to the injuries or deaths. It is generally their behavior (agreeing to attend homebirths, encouraging homebirth in high risk situations, deliberately supplying inaccurate medical advice, and failing to transfer patients in a timely fashion) that encourages women to ignore real, accurate medical advice. The theory that undergirds 3rd party liability alcohol laws is straightforward. By holding bars and hosts responsible for the results of providing alcohol, it gives them a stake in the outcome. Before serving a drink to an intoxicated person, the bar or host must weigh the possibility of paying money or going to jail if serving alcohol leads to injuries or deaths. Similarly, the theory that undergirds 3rd party liability laws for homebirth midwives is also straightforward. By holding homebirth midwives responsible for the results of encouraging homebirth against medical advice, it gives them a stake in the outcome. Before encouraging a woman to have a homebirth, or agreeing to attend a homebirth, or claiming that conventional medical advice is wrong, the midwife must weigh the possibility of paying money or going to jail if the homebirth leads to injuries or deaths. Currently homebirth midwives bear no responsibility for homebirth deaths, because they are “judgment proof.” It is nearly impossible to recover the cost of a lawsuit from a homebirth midwife because they have no insurance. 3rd party liability laws would mean that midwives could be fined or sent to jail without the need for filing an expensive malpractice lawsuit. Currently, because they bear no responsibility, there is no downside for homebirth midwives to encourage high risk mothers to give birth at home. By insisting that homebirth midwives have a stake in the outcome of homebirth, I suspect we could dramatically reduce the number of homebirth midwives dispensing false medical “advice” or providing encouragement of high risk homebirth. Most importantly, we could dramatically reduce the number of preventable homebirth deaths. “I hereby offer my proposal for using 3rd party liability laws to hold homebirth midwives responsible for homebirth deaths under the theory that the person or business who facilitates a homebirth against medical advice bears responsibility for the outcome”. Haha! That’s interesting, Doctors in any medical field don’t even live by these rules. I’m sure out of the many lives that have been tormented by a “professional” medical practitioner, the “professional” has not been held accountable. Especially with awesome (ridiculous) tort reform. That little piece of paper that is signed by new patients to waive their rights to a trial is a crock. This just seems like common sense that midwives should follow a particular protocol or else be accountable. Am I missing something here? This baby almost died. He did end up in the NICU. Support posts on this blog only try and validate the mommas birth experience and tell her to file complaints against the hospital staff for how they “mistreated” her while her son was in the NICU! WTH! This mom almost kills her son, the midwives could have transferred her, instead baby is born with low AOGARS, and posters are only concerned with how she was mistreated instead of how the baby was mistreated by his own mother and her midwives and post delivery by these posters. A “lifeless” baby does not have APGARs of 5, 6, or 8. Lifeless at birth has 1 minute to get an APGAR (an APGAR assigned by a Homebirth midwife) of 5 can happen. I guess the Homebirth community would see this as a necessary transfer. Had the midwife transferred her earlier and the baby did great, than her unnecessary transfer would have ruined her birth experience. Sickens me how nearly all of her support posts deal with how the hospital treated her bad and she should file a complaint. Why is no one saying the baby has a right to file a complaint for being born at home without immediate medical attention nearby! Someone actually believes that the baby recovered 100% because the baby had been born at home?? Then why the transfer? Like the hospital had nothing to do with it. As if a baby born in the hospital with those same APGARS would have just died because he wasn’t born at home first, then have had the life saving delays in transfer to receive adequate medical attention. Oh, I’m sure the midwife called the one minute APGAR a 5, but I don’t believe it was. My guess is more like 2-4 (0 color, 1-2 pulse, 0-1 reflex, 0-1 activity, and 0-1 resp). At best, that “lifeless” baby was 4-5. And there was no way on God’s green earth that he was an 8 by five min. I’d love to see the “medical” notes from that delivery justifying the APGARs. But I am glad to see that at least a few people mentioned going to an OB/Gyn for repair of her laceration. Since they are surgeons after all, dontcha know. Even more basic – driving requires a LICENSE. I am actually surprised that they are not criminally liable for endangering a life of a minor. While I was pregnant I came across several home birth stories from Russia, where NCB movement is becoming fashionable. The home birth midwives there are as incompetent as CPMs, and they flee the “crime scene” as soon as they can If something goes wrong, because they can be charged with endangering a life of a minor or manslaughter. I am pretty sure that parents can loose their parental rights, too. I don’t think it’s a good idea to penalize grieving parents, but these midwife hacks should go to jail for a loooooong time. There was an anethesiokogist in Canada that served smewhere between 5-10 years for “criminal negligence causing harm.” I think we also have a criminal negligence causing death charge…but not a lawyer. I wonde why, wen someone is describing themselves as, and acting as a health care provider they can’t be charged under a similar law? Can someone explain? In the anesthesiology case the individual was grossly negligent, bypassed alarms, left the OR, lied about it etc. seems like the behaviour of some of these midwives would be comparable. Maybe victims need to see Prosecution lawyers instead of personal injury lawyers and maybe there needs to be a Homebirth negligence prosecution fund for families to access to seek recourse…. So this is what we’re left with. Homebirth midwives aren’t required to carry malpractice insurance, so there is no remedy in civil court. MANA continues to rally around incompetent midwives, refusing to strip them of their right to practice. And the tiny coffins and the mentally and physically damaged women and children continue to pile up. Just think – instead of rallying around incompetent midwives, MANA could establish a homebirth injury fund to assist families whose babies have been injured at homebirth…ya know, seeing as how MANA knows it’s midwives don’t carry any malpractice coverage. And all those fundraisers could go towards this fund for families, instead of towards the midwives who harmed them. Oh, wait. That would require MANA to actually care more about protecting babies and mothers than about protecting their ideology. Nevermind. I would prefer for them to carry malpractice insurance as a mandatory legal prerequisite for delivering babies or providing prenatal care. My baby was not injured, but I sure as hell was, and I am also having a hard time recovering anything. There is no accountability and its crazy. Even hospitals, which have all kinds of systems for accountability, get sued all the time because it seems like victims of wrongdoing have to force those who hurt them to be accountable more often than not. Its a depressing truth about the nature of mistakes in a high-stakes scenario. I think most people here agree that malpractice coverage should be mandatory. I also think that the ability to hold them accountable at all is vital. Its not an either/ or situation, anything to make them accountable would be a step in the right direction. http://washingtonjua.com/rates.htm These are the rates in WA state (where CPMs are legal and can collect from insurance companies, also the state medical assistance to pregnant women program (medicaid) pays for care by them and homebirths). New graduates get a 25% discount for the first year. I wish this could be rolled into the state requirements for licensure-have some sort of preliminary paperwork you could fill out and bring when you take the midwifery state boards to show that you are ready to practice when you pass your test. I’ve personally been hurt by the darkness of someone else’s drunk driving, and I’d have to say that while there are some striking similarities, I’d be more in favor of charging negligent/foolish/intentionally harmful midwives who cause injury or death with straight up fraud and/or manslaughter. Oh, and making anything less than a CNM illegal, punishable with another felony charge of practicing medicine without a license. Lots of jail time and fines. More like the punishment often leveled at the actual drunk driver than the responsibility born by the bar or pub. The problem I have with this (it is a small quibble) is that it might drive some women to UC when faced with a hospital birth….there might be some room for harm reduction…. I would be far more interested in a law that imposes third party liability for midwives who fail to demonstrate that they provided their clients with informed consent of their choice…..
Isn’t there a regular commenter here who suggests that UC might be less deadly because a scared woman or couple in there own is more likely to call 911, than a woman or couple being attended by a midwife who insists every thing is fine? I used to think that, but then today a thought occurred to me… even if society cannot stop someone from deciding to do UC, we can at least not endorse home birth with laws. Midwives who attend homebirths are NOT saying “this is dangerous, but I can’t stop you, so I will do what I can in an emergency”, they are saying “this is perfectly safe”. Other harm reduction programs (like needle exchanges) would never say that the IV drug use is safe or necessary. A needle exchange that explicitly encouraged IV drug use is not what I would call harm reduction, or at least I would expect it not to. I don’t think anyone will do a study on such a thing in the near future so its hard to say definitively. I fully agree with you – and in the case of social host liability there’s things bars can do to protect themselves (limit consumption, call can companies for their patrons, etc.). I fully believe that midwifery needs to be regulated and that there needs to be accountability….I’m just not fully convinced that a third party liability law is the right way to go when garden variety malpractice might work just as well. Maybe there needs to be a charitable organization that pursues negligent midwives on behalf of impacted families….at least then the cases might see the inside of a courtroom even if there is no hope of meaningful financial recovery. My ordeal with the midwives and the hospital has made me want to become an attorney. I think the abuse of pregnant women and their babies is going to be my cause. So while it is many years away for me, I hope to contribute somehow. Anyone who has ever been on metro can confirm, it’s the least relaxing thing on earth. I just clicked on that link and saw the story about Discovery not putting up Chompie for shark week. I was just looking out the window at the Discovery building wondering when the shark would go up. Total bummer. I love that thing. Wait? No Chompie??? That’s a serious crisis of international human rights proportions. Shall we have a conference? Seriously, I love shark week. Me, too. But driving by the Discovery building won’t be nearly as fun this week. I don’t think I could have been more stressed with my first labour (I wanted a cesarean and believed that there was no anesthesiologist or OR available) – it was 5 hours from second contraction to delivery….if there is any truth to that tale, I absolutely shudder to think what would have happened had I been relaxed at the prospect…. I would think that in some cases, a homebirth midwife is even closer than a 3rd party. Maybe more like “second party” if that makes sense. If a homebirth midwife acts inappropriately, such as taking on a high-risk case rather than referring it, they are entering into an agreement with the woman that is far deeper than simply selling them a product, as is the case with someone buying alcohol at a bar. So yes, I think they should face *more* consequences than a bar if something goes wrong. Exactly. They are almost 100% the sole responsible party. As long as homebirth is legal–and often even covered by insurance–the vast majority of homebirthers (and attempted homebirthers like myself) have NO IDEA what they are getting themselves into. You lie to your patients, you are endorsed by the law and insurance, and then you screw up. You are responsible. Period. I don’t even agree with third party liability laws for bars. As much as I dislike all these homebirth lunacy, I can’t say I would be in favor of this. I think any efforts in the area of legislation should go toward requiring midwives to be a CNM. I think that’s got a much better chance of happening and is a much easier sell. The problem with some of the laws that MADD pushes(and I want to stress SOME) are that they go too far. Going after the bartender or bar that served an obviously intoxicated patron is one thing, but in some cases, lawyers will go as far as to sue the brewery, and even the manufacturer of the car that they were driving. There’s obviously a link there, as there should be, but this would be the same case of the law being abused, and not only suing the midwife, but the manufacturer of any medication that she tried to administer. I think people are responsible for their own actions, drunk or not. I think that is addressed in the MADD bullet point #4 above. The drunk person is still in trouble. It’s just that the bar can also be in some trouble. The suppliers of potentially dangerous products should bear some responsibility in my opinion. An obvious example of that can be seen with cyanide. If the laws weren’t in place, cyanide suppliers could make money right and left by selling it to anyone who wanted it. Instead the supplier is required to make the buyer prove they have a legit reason, sufficient safeguards, a lab permit etc. If they go and sell to some quack and the quack kills people, the quack is in a whole lot of trouble and the cyanide supplier gets in some (lesser) trouble also. I was thinking of explosives suppliers for mining. That said, I haven’t met many, but the explosives people I have met were a little on the nutty side..
Isn’t it already illegal to serve alcohol to visibly intoxicated patrons? Wouldn’t they already be liable for breaking that law in a drunk-driving investigation, and therefore have an incentive not to do it? Let me make sure I’m understanding you auntbea. Are you saying that since it’s already illegal to serve to a visibly drunk person that we don’t also need 3rd party laws? Or am I misunderstanding you? You asked what the incentive was for bars not to keep pushing drinks on people who are already tipsy. And I asked if that role was not already fulfilled by laws that specifically forbid the sale of alcohol to drunk people. Ah, I see. I think the problem is that the “Don’t serve the visibly drunk” laws don’t have much in the way of teeth. First, the penalty is too small to matter. Second, they are too easy to evade (e.g. “He didn’t LOOK drunk” or “But his friends bought him the drink”). They could, in theory, toughen those laws (e.g. make the penalty for serving a drunk person very costly, or requiring the bar to do an on-site breathalyzer before serving each drink) but the bars would like that even less. And patrons wouldn’t like that either because then even responsible patrons who had already planned a sober-ride would be cut off early. I figure there has to be a “nanny” element one way or another. The 3rd party laws seem to me the LEAST restrictive way to do it. Well, but how would third party laws solve that? What behavior is it, exactly, that law is trying to prevent? And what behavior would allow the bar to avoid liability? Not serving to visibly intoxicated people? Not serving to anyone? Taking keys at the door? Requiring everyone to leave in a taxi? Yeah, some of those things and more: refuse to serve the visibly intoxicated, keep an eye on drink counts, encourage taxis, call 911 if things get hairy and the drunk insists on driving anyway. This seems reasonable to me, not onerous. Kind of like homebirth midwives would have to do: refuse to take high risk, keep an eye on the partogram and heart tones, encourage transfers, call 911 if things get hairy. Seems reasonable to me, not onerous. But is there a scenario in this law in which the bar could have done enough to avoid liability in the case that one of their patrons did drive drunk? Is it only bars? What about liquor stores? Certainly those stores know they are selling to people who are going to go home (or to a party or even just to parking lot) and drink themselves stupid, and then perhaps go for a drive. What about the hosts of parties where liquor is served? The beer manufacturers? I am not just being contrary. It is not clear to me how this law could be crafted such that bars could be liable for negligence leading to drunk driving, without it simply being that anyone who makes it possible for someone else to get alcohol is liable for whatever that person does under the influence. In the latter case, of course, we would essentially be under prohibition, as no one would be willing to make/sell/brew alcohol anymore. I’m not sure exactly how they decide where to draw the lines. Bars are liable as are home party hosts. So is anyone who buys alcohol from the liquor store for minors. Also I believe parents can be if they don’t lock their liquor cabinets and their kids raid it. I would suppose the lines get drawn not according to some philosophically perfect and consistent standard but probably more according to what is do-able and enforceable and “most bang for your buck”, perhaps with some lobbying thrown in. Sounds good enough to me. CNMs who are not on the staff of a hospital should be legally required to carry their own insurance. BTW, I know some hospital RNs who carry insurance, not counting on the hospital to cover them. So I personally hate laws that are excessive, which is most laws. I also believe that 99% of humanity is good. I’ve been on the receiving end of witch hunts by federal agencies and let me tell you, being interrogated is no fun. When I was growing up, three of my neighbors were investigated by the FBI at the same time, including the next door neighbors on either side of us. I do think that negligent behavior should be punished, but there are I intended consequences to any and all laws. Dr. Amy’s husband is an attorney, so I’m sure she has a better grasp on the societal impact of laws, but I am inclined to believe that less is more. My experience as a doctor has led me to believe that probably 99% of individuals are indeed good….but also that probably about 15% of individuals are screwed up enough in one way or another that their behavior frequently harms those around them. i’m not a fan of those laws. It’s ridiculous though that someone can make the decision to drive drunk and you can be held responsible, yet midwives can say Babies die it happens. No, I think its a terrible idea. It’s a good idea to hold midwives accountable for fraud and manslaughter, definitely, but those 3rd party laws are very nanny statish and that’s not the way to go about it. I love it! But is there any chance such a law really could be passed? Besides the alcohol/drunk driving law are there already other laws out there like this? Any others in the medical realm? Thats a really good idea. How can we get a test case? Anything that already exists, that can be applied to this situation, has the advantage of not needing the “MWs” approval to institute it. Skipping the step where you have to get the MWs themselves to agree to do anything that limits their (currently limitless) freedom would make this so much more possible than legislating malpractice in every state.